Tom Clancy must be a really busy guy. One moment he’s putting his name to special forces games, the next he’s working with action flight sims like H.A.W.X. 2. Thankfully, Ubisoft Romania have managed to not get too distracted by his presence and instead have delivered us the sequel to 2009′s H.A.W.X just over a year later. I say sequel, but I’m struggling to find any continuation. As far as I can tell, one of the characters is the same from the original H.A.W.X. game, and err, that’s it? There’s no continued plot, or anything. If you are looking for a realistic flight simulator, this is not the game for you. Actually, I’m a little confused on who it is the game for. It’s very pretty at higher altitudes, due to some actual real world satellite mapping being applied to the terrain, but then as you spend most of your time doing ridiculous maneuvers to evade the storm of enemies trying to kill you; you don’t exactly get to spend a lot of time looking at it. So it’s not a flight sim. There’s a lot of action, and it’s very non-serious gameplay. Military buffs will be appalled at the lack of accuracy, or insane carrying capacity of the planes. Oh yeah, fear my bright orange camouflage! Still, it is a game after all and the gameplay itself is reasonably enjoyable, if occasionally frustrating. For a flight game, missile weapons overall seem pretty pathetic – either they are insanely short ranged or can’t be used in a lot of situations. It’s like someone forgot to include the parts that are not insane-close-in-guns-combat or bombing runs in the game. Maybe that part is on a hard drive somewhere at Ubisoft, and if so, can I have it please? Certainly, something is missing that would have made this game much more fun and added to the replayability a lot. In fact it’s most fun when you aren’t dogfighting things, which is a shame as much of the ‘extra’ content involves exactly this. The campaign plot switches between 3 perspectives (ala Modern Warfare and other recent titles), though I’m not sure why they bothered with some of them. While it is nice to see that not every game is the Americans doing things, it largely really is – the British in particular have such a small role it’s like they were added as an afterthought, so I’m not sure why they were included. 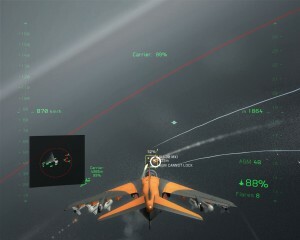 There are at least some attempts to make the campaign a little varied, with some UAV based missions, an AC130 support one etc., but since you basically have to engage 80% of all your enemies with guns in crazy dogfights, it gets old fast. So maybe that’s a good thing. If the campaign was longer than 8hrs, you’d be sick to death of it. Clearly in an attempt to extend that, the game lets you replay campaign missions with different aircraft and loadouts (usually even worse weaponry, and a less survivable aircraft), there are some challenge modes to survive against increasingly insane enemies and there’s a whole raft of acheivements that grant point to be spent on unlocking bonus abilities for your planes, but really I find myself wishing that they’d just built a better quality single player campaign instead. Using cluster munitions in this city does not seem a wise idea. It’s very unclear what those abilties benefit too, as the game doesn’t really tell you. I’m assuming that they do not affect the campaign, only the challenge stuff and multiplayer, but really, I have no idea, and Ubisoft don’t seem inclined to share this information either in the game or in the manual. If they were useable in single player, it might make them much more beneficial. The game offers Co-op for the single player campaign which is nice to see, but again I’m not sure why. 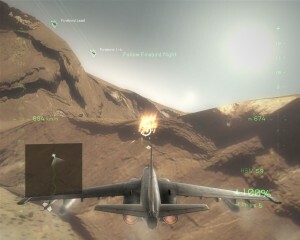 Co-op works in games when you can work with friends to destroy enemies, coordinate attacks etc, but you can’t do that here – the game is so intense-dogfight based, that would just be you and 3 friends swearing at each other on voice chat as you all fly in insane ways avoiding missiles and enemies. Despite these flaws, the game technically runs fine, there were no crashes and loading times on my aging core2 6600 machine were suprisingly quick. The presentation overall and the user interface is fairly good too. Music, voices and the mission briefings are all of good quality, as you would expect from the larger publishers like Ubisoft. However, this being Ubisoft, it has their always-on DRM included, and you have to use a Ubisoft online account etc, all of which is completely unnecessary. Again, they would be far better off directing their energies into the gameplay – not features with little value to the end user. In fact, right now the game is refusing to launch as it can’t connect to the Ubisoft servers, which is very frustrating. So, what is this game, and who is it for ? Well after all this I’m still not sure. Was it an attempt to sell flight sims to console players by making it accessible? Is it just a cynical attempt to latch on to the popularity of military style games in recent years? I really can’t tell you after 10 hours of playing it. 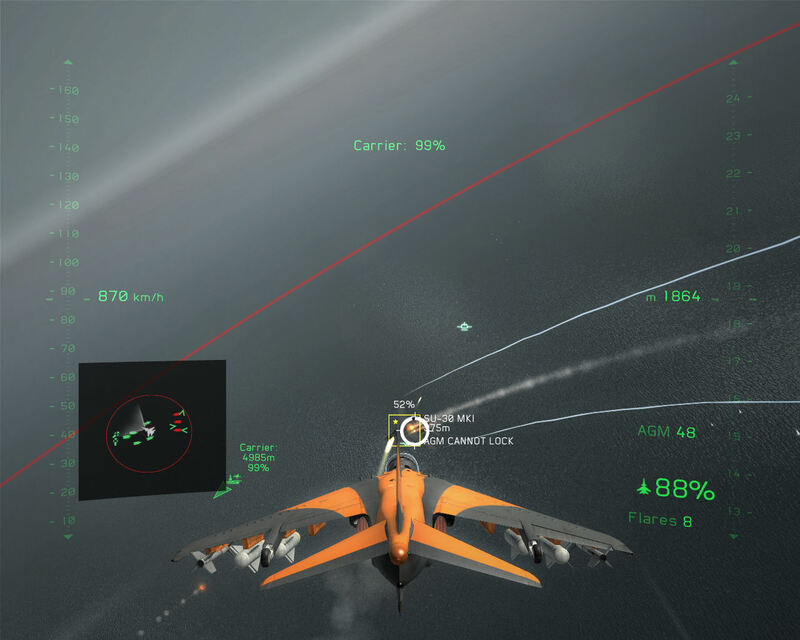 Adding some friends into the mix improves its appeal slightly, but even they won’t be entertained for long by flying in loops constantly so they don’t die. So, I’ve distilled my conclusion down to a single question, like so. If you had £29.99 to spend (the current price on Steam), and wanted a well presented and shiny action game, would I recommend this ? And the answer is: No, I wouldn’t. For that money, you could get 6 or 7 different action games on Steam, they would actually last for some time, and would come without crazy DRM, which is currently refusing to run the game. In fact to get the screenshots here, I had to wait several days to be able to launch the game to get them. So you should bear that in mind too. Regular ManaPool writer and good friend of ET. I live and work in York, UK and try to provide a good honest opinion about the games i play. I like variety, strategy and to be challenged by games. I also provide technical backup to fix any problems with the site. “If you had £29.99 to spend (the current price on Steam), and wanted a well presented and shiny action game, would I recommend this ? And yet it gets a rating of 7.2? That seems a bit generous for a game you wouldn’t recommend. @RJAckson just because a game is expensive for what you get, it doesn’t have to be a bad game. What James is saying in his review is that the game should be cheaper or have more substance for that price. I’ve played it myself as well, its a good game but the drm and price really let it down. well, the rating is decided by the 5 areas – I can’t just set a final score, i have to set one for each of its aspects. To be fair to him he did give it a 3 out of 10 on value so that would justify his comment imo. 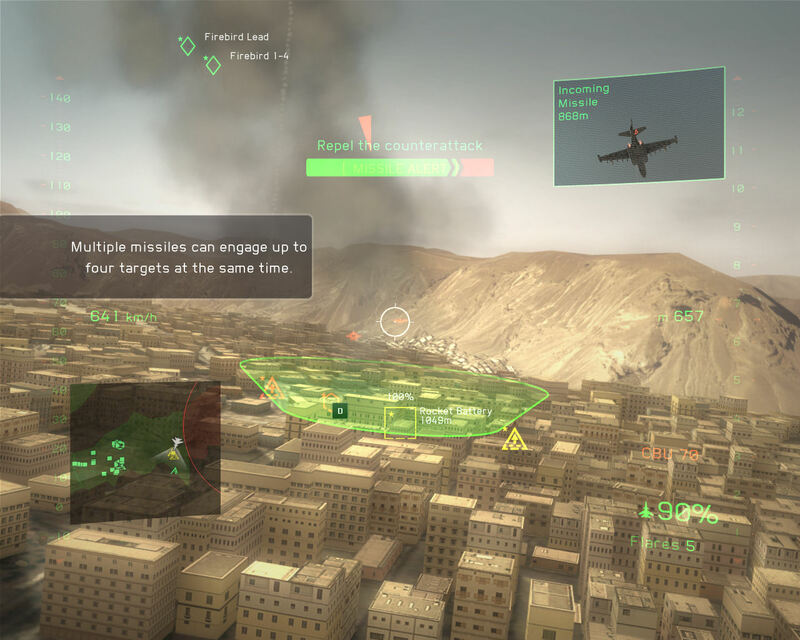 I would never really give games like this a go because since ace combat its always really been the same thing over and over and overrrr…. I would honestly say that if you bought this expecting something with good value and ‘non-repetitive’ gameplay your unfortunately mistaken. Theres only so much you can do with a game like this and its just taking a ride on the back of the ‘Tom Clancy’ name. Which Devices Provide a Greater Gaming Experience?